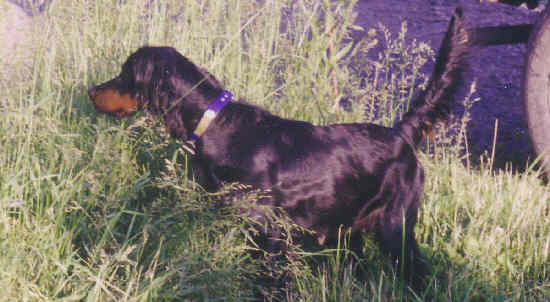 Dam: "Queen" "Boss and Company"
SIRE: Smokin'Gun Kennel's Timber is a nice looking field type dog that has been hunted from Nova Scotia to Montana across the northern USA. He is about fifty pounds and is primarily a grouse and woodcock dog and has hunted most bird species in that range. Timber was one of the dogs recommended by Jim D'Amico and has some outstanding dogs in his pedigree.